The Architecture Reading Club convenes once every week and is organized by the Utah Arch Research Group. The seminar's objective is to discuss various aspects of modern computer architecture. Every meeting is encouraged to be an interactive session where presenters talk about recent papers published in top tier computer architecture, operating systems, circuit design conferences. 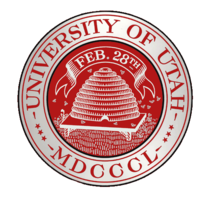 Students registered for credits are expected to present at least once during the course of the semester.A presenter should send an email to Payman (payman.behnam@utah.edu) and mention the title and the links to the paper(s).